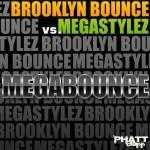 Brooklyn Bounce vs. Megastylez - MegaBounce (Original Club Mix) lyrics • Hands Up! This is a tribute to old-school Hands Up! And get back, to Hands Up!